As a member of our community, you personally have experienced the growth of our programs and our activities. We take pride in providing a variety of Jewish experiences in a welcoming and positive atmosphere where every Jew - no matter what background - feels at home. You may not be aware that Chabad of Pudong is not supported by Chabad international or any other organizations. It is totally dependent on local donations. Every year we work very hard to cover the yearly budget for the center and all of its growing programs and activities. We have no official membership dues at Chabad Pudong. Therefore each year we turn to every individual and family who benefits and enjoys our services with the annual Partnership Fund Appeal. 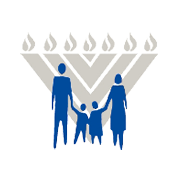 This voluntary membership enables us to continue offering our services to the Pudong Jewish community. Your pledge can be made in payments throughout the year, per your convenience. We hope you will help us by participating in the Partnership Fund Appeal Campaign with your generous pledge. Upon your request, it would be my pleasure to meet with you personally to present the yearly budget, which includes a detailed plan of the upcoming year's programming and its costs.